In the early 60s, Baxter Finley sought for a skin care product specifically tailored to the needs of men's skin. Since he did not find what he was looking for, he solved the problem by creating his own line of toiletries. 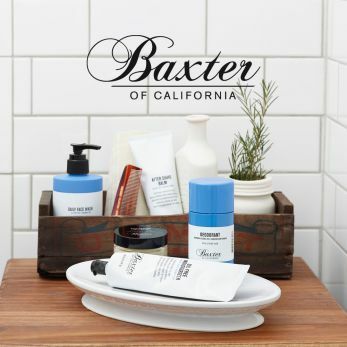 Baxter of California brand products were introduced in 1965 as the first line of cosmetics for men in the US market and are still a great success to this day. Baxter of California products are used by nearly all men in the US, from the guy next door to the Hollywood star. From hair care products and hair pomades to the range of fragrances, shaving and aftershave products and facial care lines, the brand offers everything the modern man requires to maintain a neat and masculine appearance. The renowned skincare range was completely revised in 2000 and now includes current scientific knowledge, adapted recipes and a contemporary design.